There’s plenty to do on Wirral during the school holidays or even just on an average weekend, so here’s the top 10 things to do according to trip advisor ratings. 65% of people that visited voted the farm as excellent. The farm is situated on Bidston Hill and is a free urban farm and provides an enjoyable and educational experience for children and adults. The farm is home to a variety of farm animals, including pigs, sheep, goats, chickens and geese. For over 70 years a busy railway linked Hooton to West Kirby, but in 1962 the line was closed. For a while the track lay derelict, but in 1973 the old railway line was opened as Wirral Country Park. It was the first Country Park in Britain and today it is must for a family day out and its facilities include Picnic Areas, Visitor Centre, Shop, Information staff, Café, BBQ area, Bird Hide and lots more! Birkenhead Park was the first publicly funded park in the world and inspired designs of one of the most famous in the world, Central Park in New York . Birkenhead Park is a Grade I listed historic landscape and conservation area, with many Grade II listed buildings. There’s lots to do including a large adventure playground for children, 2 cricket clubs, tennis courts, bowling greens, a visitors centre, football pitches and 2 large fishing lakes. In 1898, at a cost of £7,750, the estate was purchased by Wallasey Urban District Council, with the intention of providing a ‘lung’ or breathing space for an increasing population. Now the park is home to Vale House café, a community centre, annual bedding displays a kick-about pitch, rose Garden, children’s play area and a fairy garden. 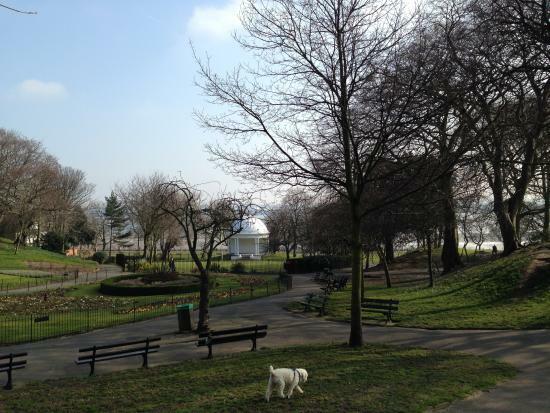 The park is also home to stunning views across the river Mersey. West Kirby beach is a stunning beach that has nearby cafe’s, ice cream and coffee shops. Hilbre Island Local Nature Reserve is located a kilometre off shore and accessible on foot at low water. It is essential to check the tide times and recommended safe crossing route before walking across to the islands. West Kirby Marine lake is one of the most popular marine lakes in the north west. The lake is 52 acres in size, 5 foot deep and totally enclosed, making it a safe facility. The Lake is home to the Wirral Sailing School, which offers courses in sailing, windsurfing and canoeing. You can also take a leisurely stroll around the border of the lake or along the stretch of beach from West Kirby to Red Rocks at Hoylake. Port Sunlight Museum & Garden Village, won ‘Wirral Independent Business of the Year’ 2017. Port Sunlight Museum reveals the village’s creator, ‘Soap King’ William Hesketh Lever and his vision for the village and its residents. You can also find out about the architects who designed the houses, principal buildings and landscapes and what it was like to live and work there during the village’s heyday. The Black Pearl Pirate Ship is a community art installation situated on the beach. A replica of a three masted pirate man-of-war, it is almost entirely constructed from salvaged materials and driftwood found on the beach. Unusually for an artwork it is the focus for many other activities, mainly as a children’s play structure, but also as a mock up vessel for RNLI exercises, wedding ceremonies and as a popular subject for photography. The Lady Lever Art Gallery is a museum founded and built by the industrialist and philanthropist William Lever, 1st Viscount Leverhulme and opened in 1922. The museum is a significant surviving example of late Victorian and Edwardian taste. The Lady Lever Art Gallery is set in the garden village of Port Sunlight. It houses major collections of fine and decorative art that are an expression of Lord Leverhulme’s personal taste and collecting interests. ← When does Autumn start ?